Mr. Michael F. Skinner IHS Faculty and Coach, age 61, of 38 Harriet Ave., Ilion, passed away Thursday, May 30, 2002, after a long illness. He was born April 14, 1941, in Utica, the son of the late Francis and Helen Lafferty Skinner. He received his education at St. Mary's Academy in Little Falls, graduating in 1959. He then attended and graduated from Lemoyne College and SUNY- Brockport. On April 14, 1978, he married the former Juliann E. Piccione at St. Ann's Church in Whitesboro. Mike was a history teacher at Ilion High School for 30 years and coached in the sports program there until retiring from teaching in 1997. Mike served with the U.S. Army from 1963 until 1966, and taught high school in New Castle, Australia, for a year. Mike was a member of Blessed Sacrament Church, Mohawk, and devoted a great deal of time and effort to the youth of Ilion. He was a member of the board of directors of Ilion Little League for over 10 years, a coach for Ilion High School, helped start the Ilion youth basketball program, and he was also a member of the Ilion Elks Lodge 1444 BPOE. 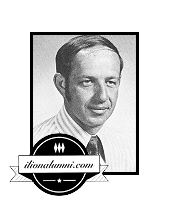 After his retirement, he was employed with the American Automobile Association in Utica. The 28th annual honors dinner was held recently to honor senior members of the IHS Class of 2002. These students were honored for earning outstanding scholastic records and achievements during their high school careers. Each of these students attained a seven-semester average of 90 percent or better. Janice Murray is the 2002 valedictorian. She is the daughter of Brian Murray (IHS 1972) and Deb Trombley Murray (IHS 1973). Ilion seniors celebrated the nearing of graduation during a week in June. A favorite day for fun and antics was Senior Dress Down Day. Seniors could dress up in wild and crazy outfits to entertain the staff and undergraduates. Creativity showed through year after year. Michael Baron P.E. 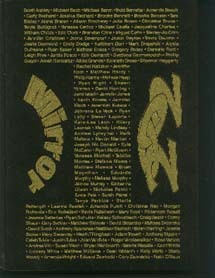 IHS 2002, along with Timothy O�Connor, P.E. IHS 1966, recently launched Ilion Engineers. The group is open to engineers and technologists from Ilion, NY by request. 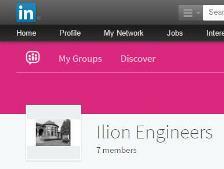 Check out Ilion Engineers on LinkedIn Groups. Facebook - Ilion High School Class of 2002. The official facebook group for the Ilion High School Class of 2002 Reunion. Note - This is a public Facebook group which means anyone with a Facebook account can see the group, its members and their posts. However, you must have a Facebook account to access the group. Alumni without a Facebook account will not be able to see any of the posts. 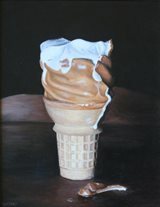 Mary Sweeney's still life paintings are now featured in her Etsy shop SweetToothStillLifes. Mary's paintings are available for browsing and sale. The Class of 2002 is planning a 10th Year Class Reunion. "I wanted to let you know that I gradauated from St. Elizabeth College of nursing on May 20, 2006, and passed my State boards to become an RN on July 10, 2006. I am currently working as an RN at Faxton-St. Luke's Healthcare. Phillip Gogol graduated from Mohawk Valley Community College in May of 2005 and is working on his Bachelor's @ Suny IT." "Hi, this is Patrick, the 2001 exchange student... Want to get any contact to be part of Ilion High School. Miss you all very much and hope to see you pretty soon!!!!!"